Welcome to the second month of your journey to discover your bundle of joy. The second month of pregnancy has already begun. Its very important for you to know second month pregnancy diet chart. You must carefully check diet during pregnancy month by month and select foods to avoid and which foods to eat. The first three months of pregnancy are the most crucial ones and demand maximum attention and care. 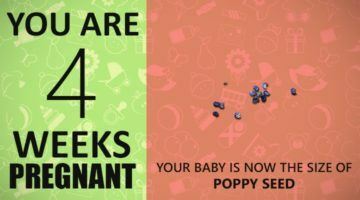 The second month of pregnancy begins at five weeks of pregnancy. Many women don’t realize that they are pregnant during the first month. So it becomes more important to focus on second month of pregnancy diet. Pregnancy is a feeling filled with happiness and excitement for a couple. This precious feeling cannot be described in words. Generally women suffer from Nausea, morning sickness during pregnancy second month. This can make women run away from food. Not to worry though but try taking in as many nutrients as you can. For the well being and proper growth of the baby second month of pregnancy diet plays an important role. This is the time when the neural tube begins forming. Brain cells develop very fast and develop babies brain, nerves, spinal cord etc. 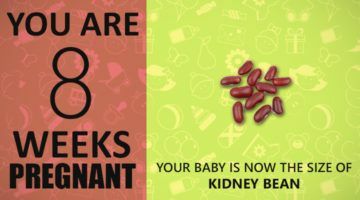 Also almost all organs are taking form in pregnancy second month. So second month of pregnancy diet is extremely important. During this period, nutrition is another most important factor, as it would help the foetus to develop healthily and normally. Foods you will eat provide essential nutrients to the growing foetus. It becomes utmost importance on how to care in 2nd month of pregnancy. Kind of nutrients the baby receives depends upon what food mother eats. Acidity and constipation are the common problems that are faced by PREGNANT women. The food that needs to be taken in the second month of pregnancy should be easy to digest not be heavy. So that you can avoid the feeling of nausea and keep your constipation problem at bay. Many pregnant women are advised to start eating for two. That is not true. Eating healthy diet during pregnancy month by month doesn’t mean you should eat a lot. If you have a healthy weight in the first month of pregnancy, there is no need of extra calorie intake in the second month of pregnancy diet. Remember, if you are underweight/ overweight than you may need more or less calories depending on the weight you want to attain. So take care about the quality of your food w.r.t. nutritious content without increasing your portion size. You must consume fresh food like fresh fruits and vegetable in the second month of pregnancy diet. Eat a variety of food from essential food groups like Fruits & Vegetables, Grains & cereals, Dairy products, legumes and meat. The more variety of groups you choose, the more benefits your body will receive. Do not consume processed/ frozen foods in the 2nd month of pregnancy diet. Make sure you eat lots of protein to help your baby’s muscles develop. Also, increase your calorie intake by consuming more starchy food rather than going in for fried, sweet foods since they don’t provide any nutrition to your baby. The second month of pregnancy diet should help to support the developments of the baby. Folate or Folic acid serves the purpose of vitamin B, which is a vital vitamin to intake during first few months of pregnancy. For normal neural tube development Folic acid is very vital. Your gynecologist will recommend you to have folic acid, vitamin D supplements. Failing to do so can affect normal neural tube development and also there is a risk of premature baby. Foods like spinach, eggs, beans and fortified cereals have high quantities of folic acid. It is ideal for you to consume around 0.4 mg of Vitamin B everyday in the second month pregnancy diet. More than the supplementary tablets including foods rich in folic acid in pregnancy diet chart month by month are more helpful. During pregnancy second month, calcium is an essential mineral required the most since baby’s bones start to ossify. If you don’t consume 1 gram of calcium daily the foetus will start extracting it from the calcium reserves present in your body like bones and teeth. This can result in disease like Osteoporosis in future. Eat a lot of green leafy veggies and dairy products to fulfill your calcium requirement. The following food items are rich sources of Calcium. Dairy products: Include milk and milk products in your second month pregnancy diet and even in rest of pregnancy. Dairy products are rich in calcium. Drinking two glasses of low-fat milk per day is a healthy practise. Other milk products like Paneer, Curd etc. are likewise a beneficial source of calcium. Vegetables: Green leafy Vegetables like turnip, spinach, Okra, spring onion, Cabbage etc. Tofu: Tofu is a calcium rich food popular among the pregnant women. Almonds: Each almond nut provides 70- 80 mg of calcium. During pregnancy second month, a woman’s blood supply production increases to support growing foetus. A woman if doesn’t get required iron from her second month pregnancy diet will feel tired all the time. There is also a risk of developing anaemia. Doctors recommend 27 mg iron daily to pregnant women right from the day when pregnancy is detected till the time of delivery. 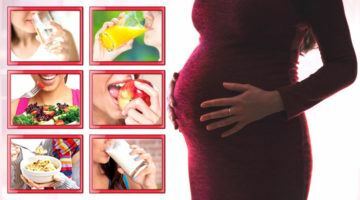 Most women cannot achieve the target of 27 mg only through food and generally are prescribed to consume iron supplements in pregnancy second month. Many women feel that intake of proteinous foods is essential during second and final trimester. Well this is not so true. According to top gynaecologists you should start taking extra protein dose from the time you find out about pregnancy. Protein helps in normal muscle development of baby and also helps in proper supply of blood. You must take extra 25 grams of protein every day during the pregnancy period. However, daily protein consumption should be between 75g to 100 g. Start including the following things in your second month pregnancy diet. Eat omelets, scrambled eggs, or an egg salad, for a portion of the daily needed protein intake. An egg provides around 6 grams of protein. Legumes like kidney beans, white beans, black beans etc. help to meet the daily-required proteins. Soybeans are also a good source of protein. Include lentils in your pregnancy diet to get optimum proteins. Fish and Cottage cheese – You can receive proteins from low-fat paneer and fish. But make sure that the fish you consume should have low levels of mercury. Turkey and chicken are a good source of protein. Food items made out of whole grains are an excellent source of protein. Dry fruits like peanut, pistachio, almonds, cashew, walnuts, etc. and seeds like sunflower seeds, sesame seeds, pumpkin seeds are an excellent source of protein. Lean meats are a good source of protein. One portion of well-cooked lean beef, pork, or lamb provides 33 grams of protein. Oranges will become your best friend’s during first trimester of pregnancy. Eating oranges will have a refreshing effect on you. Include fresh orange juice or fruit itself in the pregnancy diet chart month by month. It is not only rich in vitamin C and calcium, but also the tangy flavour of it will help to minimize the discomforts of morning sickness. Banana is a rich source of vitamin B6, vitamin C, fibre, iron, folic acid and potassium. If you have terrible nausea and morning sickness symptoms, you may not be able to stick to a healthy diet. But after 12 weeks when your symptoms subside or disappear, make up for it with healthy foods. Healthy pregnancy involves physiological changes in mother. Poor pregnancy can result due to inadequate nutrition which can be under nutrition or over nutrition. Pregnant women generally are focused on picking the right things in their meals. But it is also essential to check on the food items that you should give a skip during second month of pregnancy. Imported soft cheeses may contain Listeria. Cheese like, Roquefort, Feta, Camembert and Brie shouldn’t be eaten during the second month of pregnancy. These cheese may have E. coli microorganisms in them which lead to bacterial infections. They are made from unpasteurized milk so you are at risk of pregnancy complications or infection when you eat soft cheese. Meat spreads may have presence of Listeria, This microorganism adversly affects normal babies growth. You can eat canned meat spreads though. But it is best to avoid them. Don’t consume unpasteurized milk as a part of second month of pregnancy diet. It contains pathogens like Salmonella and other harmful bacteria that can give you many diseases. 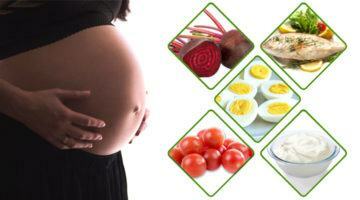 Increasing iron content in diet is suggested to pregnant women. 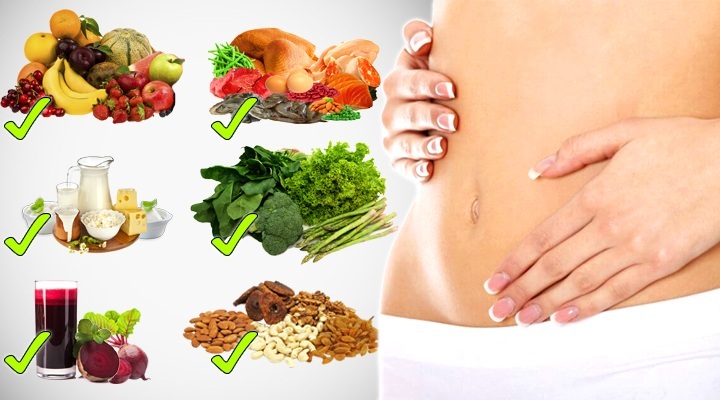 So you may think of eating liver in second month of pregnancy diet. However, you should avoid eating it as has presence of Retinal which is a source of Vitamin A and also responsible for miscarriage. Some pregnant women love the taste of liver. But in the second month of pregnancy, liver is a food to skip. You must be already knowing about this. Consuming alcoholic drinks during pregnancy can be very dangerous, it will affect baby development and lead to defects at the time of birth. So, best thing is stay far from alcohol totally. Slightly cooked or raw eggs are not recommended in the second month of pregnancy, as they can cause you salmonella infection. If the dish recipe involves cooking step, It will reduce Salmonella exposure. Commercially available dressings, ice cream, are made using pasteurized eggs and thereby reduce salmonella infection risks. Do not consume processed/packaged meat products, such as salami and luncheon meat. Since these meat products are refrigerated they are prone to disease producing microbes. Cook meat properly to kill harmful microorganisms and bacteria. Avoid stuffed poultry, turkey meat during the second month of pregnancy if not cooked above 180 degrees. Raw meat juices have presence of bacteria which may lead to food poisoning or any other complications in the baby. Fish has presence of methyl mercury levels which are responsible for birth defects and miscarriage. Hold on to your cravings of eating sushi and other raw fish dishes while you are expecting. Check for dosage of mercury in different fishes if you can’t avoid. Many women love baking. If you are one of them and are pregnant refrain yourself from checking cookie dough taste before baking. As cookie dough has presence of raw eggs, you are risking yourself and baby to infections caused by salmonella. 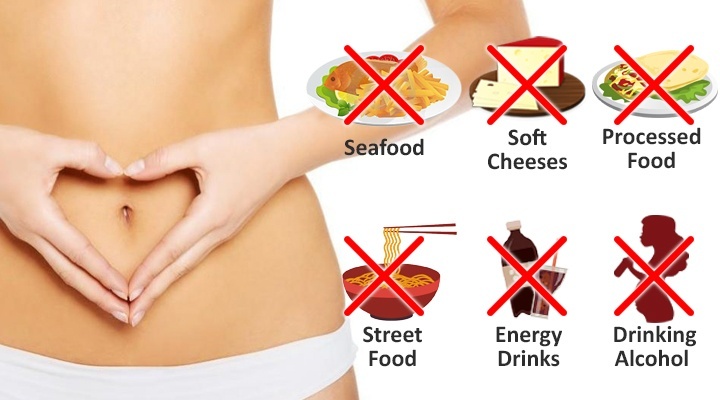 These were some of the items you should avoid in your pregnancy diet chart month by month. The second month of pregnancy will have the same symptoms which were similar to the previous month. During this month, you will not only feel the joy of motherhood but it will also include frequent urination, mood swings, nausea etc. Though you may have a variety of food cravings, there will be a list of foods you will no longer enjoy during the second month of pregnancy. Give extra attention to your body. 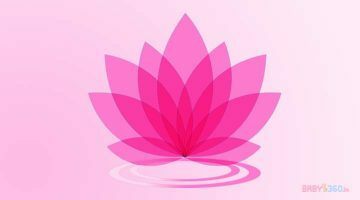 This is the ideal time to start listening to your inner body voices for satisfaction, hunger and to double check your cravings. Also keep a track on your body weight. Eat responsibly. If you listen to your body you will know when to exactly stop and times when you are overeating. I always believe that everyone and everyone’s experience of pregnancy is different. Only you know what will work for your body.